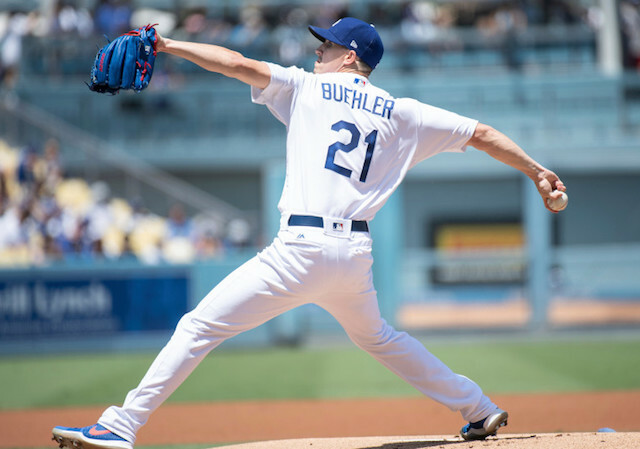 Prior to their 2017 World Series rematch at Dodger Stadium over the weekend, the Los Angeles Dodgers and Houston Astros were each busy on the trade front, completing multiple deals in the final weeks of July to further bolster their respective rosters for the stretch run. DISAGREE WITH THE BRAVES BROADCASTERS? GET YOUR BATTING PRACTICE T-SHIRT NOW! The Dodgers, of course, landed the summer’s biggest prize in Manny Machado, while additionally adding another All-Star infielder, Brian Dozier, to the fold. The club also swung a trade for veteran reliever John Axford to complement its existing relief corps. 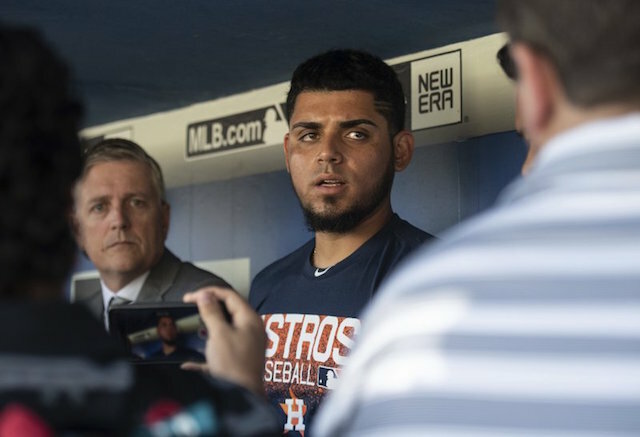 The Astros had similar intentions on improving their bullpen, but took a controversial route in doing so by acquiring Roberto Osuna from the Toronto Blue Jays. The right-hander, facing charges for assaulting his girlfriend, was previously suspended 75 games this season after violating MLB’s domestic violence policy. It shouldn’t be a surprise that the Dodgers were never connected to Osuna in trade rumors prior to the July 31 non-waiver deadline, despite his undeniable talent as one of the game’s top closers. It was just three offseasons ago when the Dodgers backed out of a trade to acquire flamethrower Aroldis Chapman from the Cincinnati Reds after he, too, was under investigation for domestic violence. As part of our efforts to help you understand how we handle the personal information you share with us, and in preparation for the new European General Data Protection Regulation (GDPR), we’ve updated our Privacy & Cookies Policy. The updated Privacy & Cookies Policy will take effect on May 22, 2018. By using our services on or after that date, you’ll be agreeing to our updated Privacy & Cookies Policy. We recommend that you read our updated Privacy & Cookies Policy in full.